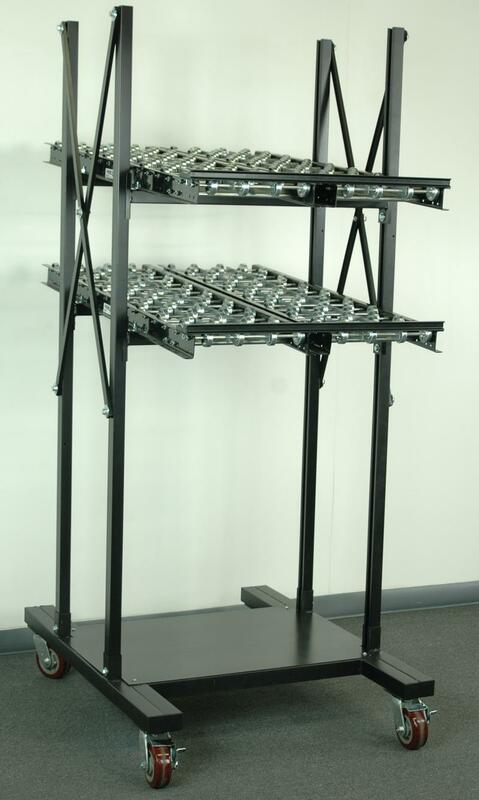 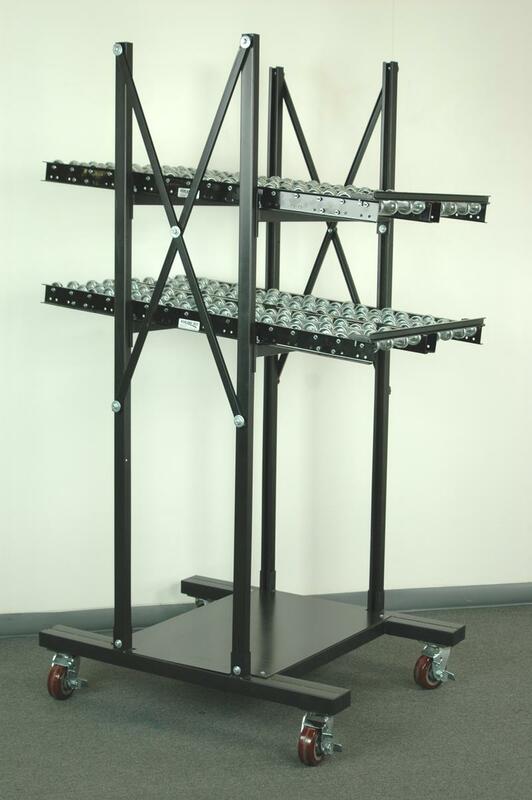 This flow rack features 2 levels of 12" wide x 48" deep skate wheel rollers that are supported by uprights that are inset 12" in the front and rear. 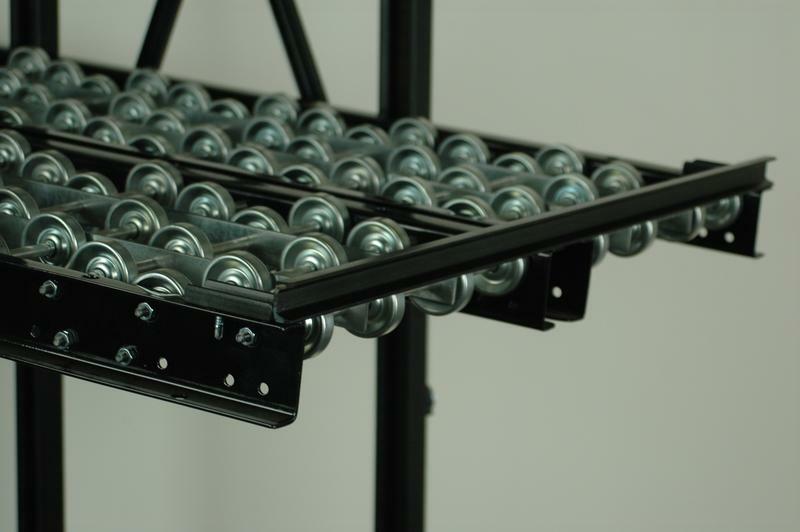 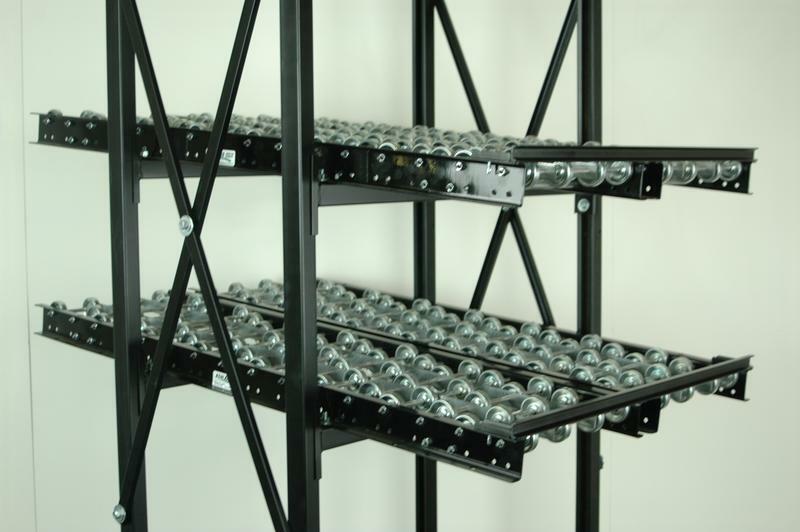 This helps position the rack closer to the operator by allowing the rollers to hang over the work surface to house product within a comfortable reach. All levels are height and angle adjustable and the roller overhang can be adjusted as well.